We decided to celebrate the July 4 weekend with a last minute trip to the Queen City. We found a pet friendly hotel, packed our bags and headed out on Saturday morning.After making a quick stop in Pageland, S.C. for some barbecue at Pig-N-Vittles, we got to Charlotte at about 1 p.m.
On a sidenote: Pig-N-Vittles is very delicious. The barbecue is perfectly smoky and the sandwiches are generously portioned. We couldn’t check into our hotel until 3 p.m., so we found a few dog friendly places to pass the time including Symphony Park and Olde Mecklenburg Brewery. We especially liked Olde Mecklenburg Brewery. It has a great outdoor biergarten, tasty beer, live music and lots of seating. There were plenty of families and many other dogs enjoying the unseasonably cool day. For our hotel, we stayed at the Doubletree Suites by Hilton because it was one of a few dog friendly hotels. The beds were quite comfortable and it was in a great location close to the attractions, but not in downtown. 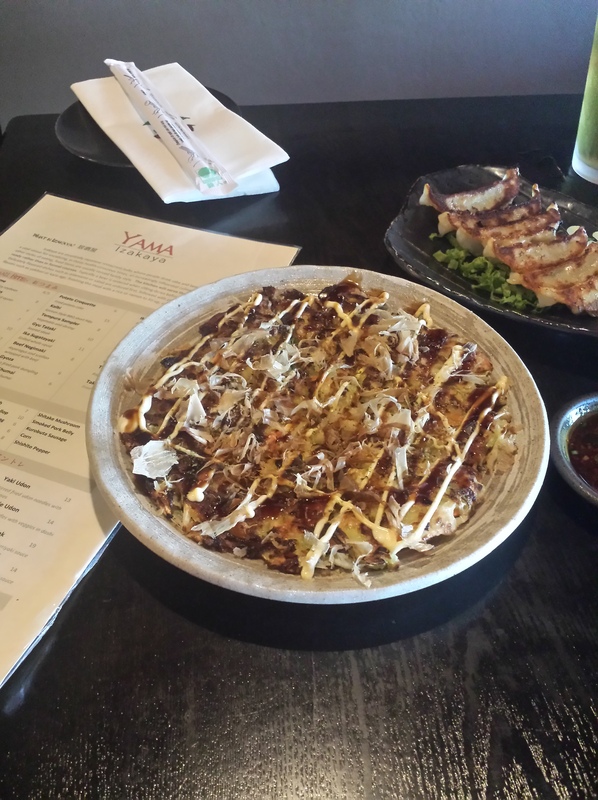 We decided on dinner at Yama Izakaya, a Japanese restaurant known for their small plates to share and great ramen. An Izakaya in Japan is a place where businessmen go for drinks and then order a few snacks. This place has a similar feel where you order a few snacks, then some skewered meats and finish it off with a bowl of noodles. 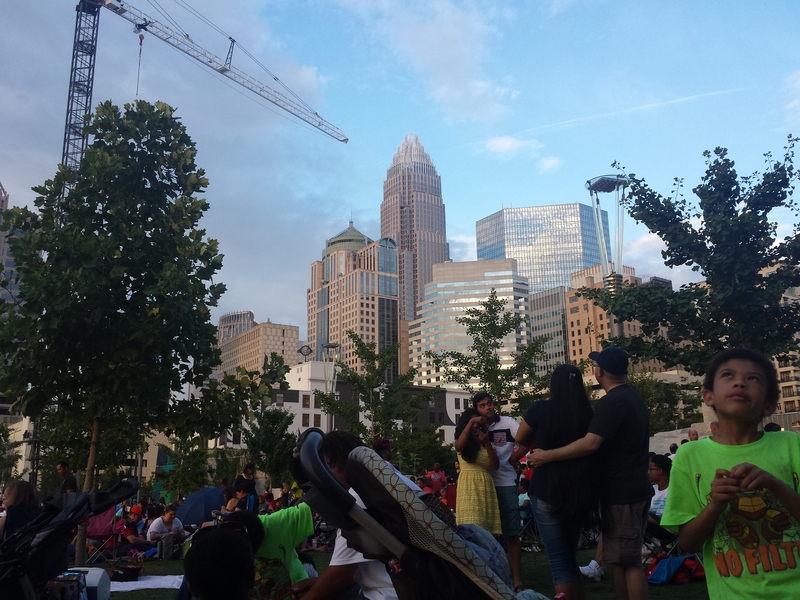 After dinner, we went to Romare Bearden Park in Downtown Charlotte near the BB&T Ballpark. We found a great spot to sit and waited for the fireworks, which turned out to be a spectacular show. On our way back to the hotel, we made a special stop at Amelie’s French Bakery for some chocolate croissants for the next day’s breakfast and a few other pastries. The line, even at midnight, wrapped around the two dining rooms. On Sunday, we made a short stop in Cheraw State Park to walk Piggy. He loved it and the park itself is quite nice with a great boardwalk over the lake. Even if you only have a weekend to get out and explore someplace new, Charlotte is a great place that should be at the top of your list.